The USA is one of the most popular immigration destinations thanks to the high quality of life and excellent employment opportunities. There are many types of visa available for immigrants to apply for, each with their own specific eligibility criteria. If you are hoping to relocate and find employment in America, here is a guide how to get US work visa. The H1B visa is aimed at skilled professionals who wish to work in the United States. The most popular and most desirable type of work permit, this visa also enables holders to apply for a residency permit or Green Card. In order to be eligible to apply for an H1B visa, you first need to be offered a suitable post from an American employer. The company will then act as your sponsor in order to help you obtain the necessary work visa. There are restrictions on the type of employment you can do under this visa. Although the employment sectors change from time to time, the industry must be classed as a "specialty" occupation and this includes employment such as teaching, computing, finance, healthcare, law and engineering. Should you be successful in obtaining an H1B visa, your visa is valid for up to 6 years and you are entitled to bring dependents with you. Apart from holding an applicable job offer, you also need to have a degree level qualification or 12 years of experience in your industry. There are 3 points available for every year of higher level study and 1 point available for every year of work experience and you will require a minimum of 12 points in total to be eligible to apply. Once you have decided that you are eligible for this visa type, you can submit an application together with all the necessary paperwork and fee including evidence of your experience and qualifications. This will enable the authorities to process your application. The H2B visa is a short term employment visa for the United States which is suitable for those who are looking for short term or seasonal employment in the country. There are many employment sectors which are covered by this type of work permit, including the hospitality industry, construction industry, catering and retail. 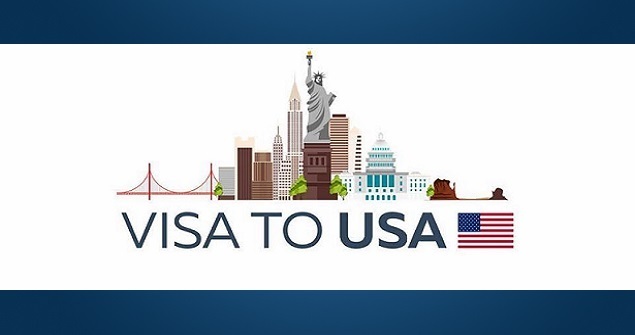 To apply for this visa type, you will already require a job offer from a suitable American employer and you must hold adequate qualifications to undertake this role. In most cases, this visa is only valid for one year, although it can sometimes be extended up to a three year period. To apply, you will also need to submit the relevant paperwork including evidence that you will return to your home country at the end of your visa validity period. Should you be granted this visa type, you can bring dependents with you into the country although they will not be permitted to work. If you already work for a company and wish to transfer internationally to their American offices, you can apply for an L1 visa type. Usually, this type of permit will allow you to remain in the country for 3 years, although it may be granted for a period of up to 7 years in some cases. You must have already been working for the company for a period of at least 12 months before being eligible to apply. If you are granted this visa type, you will be permitted eventually to apply for a Green Card for residency. You can be sponsored by your company for an L1 visa if you are in a management role or if you have specialist company knowledge. To apply, you must submit the relevant paperwork to the authorities who may then grant your visa which will enable you to bring your dependents into the country with you. The Green card is a residency permit which you may be able to apply for if you meet the eligibility criteria. As a worker, you can apply for a Green Card if you are offered a permanent job in the United States that fits into one of the relevant categories. There are several categories of worker covered by the Green Card including those with exceptional talents and abilities, those with advanced qualifications in their area of expertise and skilled workers in a range of specific industries. With your employer acting as your sponsor, you can apply to the authorities submitting all the relevant documentation in order to have your application considered.